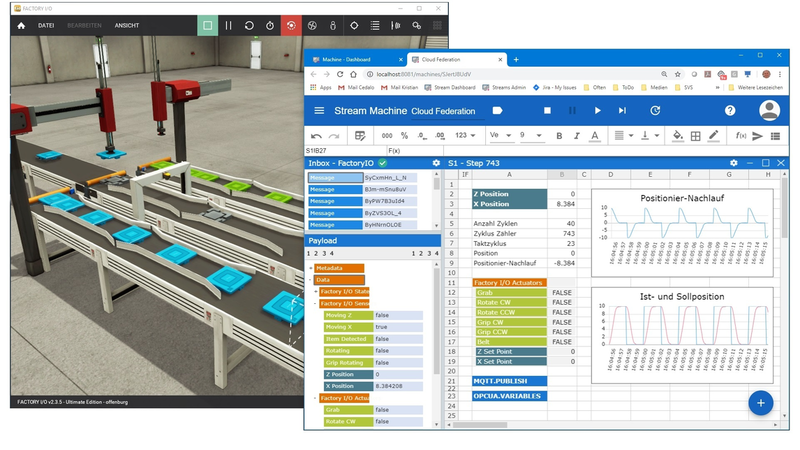 Streamsheets are fully connected, server-based spreadsheets that connect anything from sensors and machines to apps, websites and stream processing platforms. How data streams are processed, analysed, visualized, combined and controlled or even simulated is modelled entirely with spreadsheet formulas and especially without writing a single line of program code. Streamsheets are recalculated automatically, e.g. every time a new message arrives or repeatedly with a certain cycle time (can be as small as few Milliseconds). Consequently, conditions and formulas are considered continuously and based on their outcomes decisions are taken and visualisations are drawn dynamically. 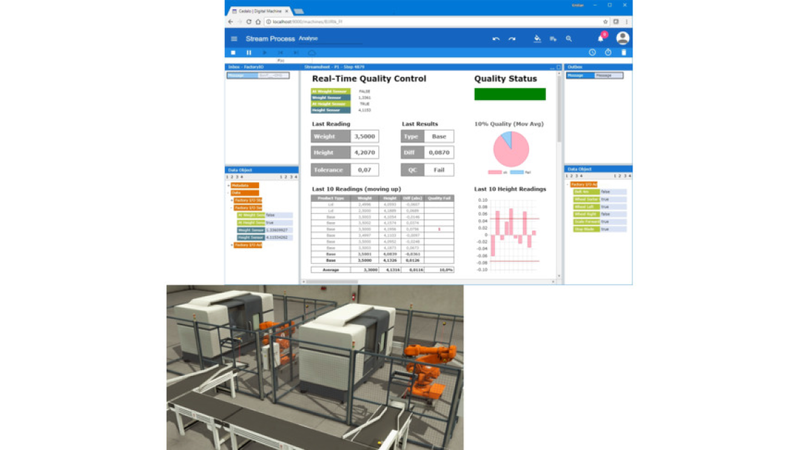 By fully supporting all common IoT protocols, such as MQTT, OPC UA, REST and Kafka, issues like edge-cloud connectivity, protocol conversion and data stream synchronization become as simple as a spreadsheet formula. Nonetheless, Streamsheets are data and industry agnostic. Do your streams contain business, financial or even IT data? No problem! You can even mash them up without noticing a difference. With Streamsheets, anyone can build digital solutions for simple as well as complex use cases and reservations towards digitization are minimized.